It has been some time since MBLAQ‘s last Korean comeback, over a year since the repackaged version of 100% Ver., BLAQ% Ver., was released. Since then, the members have kept busy with filming reality shows and dramas, participating as MCs, and making music for OSTs, such as with The King of Dramas and Iris 2. The Music Boys Live in Absolute Quality debuted under J. Tune Camp in 2009 with the single album, Just BLAQ, with “Oh Yeah” quickly being noted for their similar style to their group’s creator and mentor, Rain. Since then, the group has released three single and mini-albums; Y in 2010, Mona Lisa in 2011, and 100% Ver. in 2012. 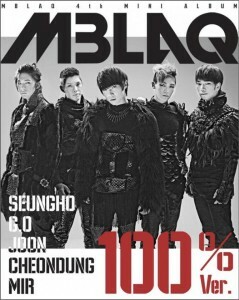 They also have one full-length album, BLAQ Style in 2011, and two repackaged albums, of BLAQ Style (2011) and 100% Ver. (2012), respectively. In the latter half of 2012, the group set out on their BLAQ% Tour around Asia, playing sold-out shows in Japan especially. MBLAQ’s style for promotional singles is typically noted as usually being of some type of dance pop while remaining dramatic and impactful, bringing their own style of choreography to the mix with their distinct movements. It’s an aggressive mix that can be found also in their B-sides, next to tracks that soften the sound without leaving the group’s established image. After a strong debut with “Oh Yeah,” their third release lightened up with stronger lyrics and visuals, and this was especially so in their music video for “Y.” The entire album brought out a nifty side to the group’s music that was probably unknown to the casual. Of note is the smooth nature of “What U Want,” which suits the vocalists to a tee. Mir‘s rap near the end is a tad on the rough side, but aside from that, the song is solid. 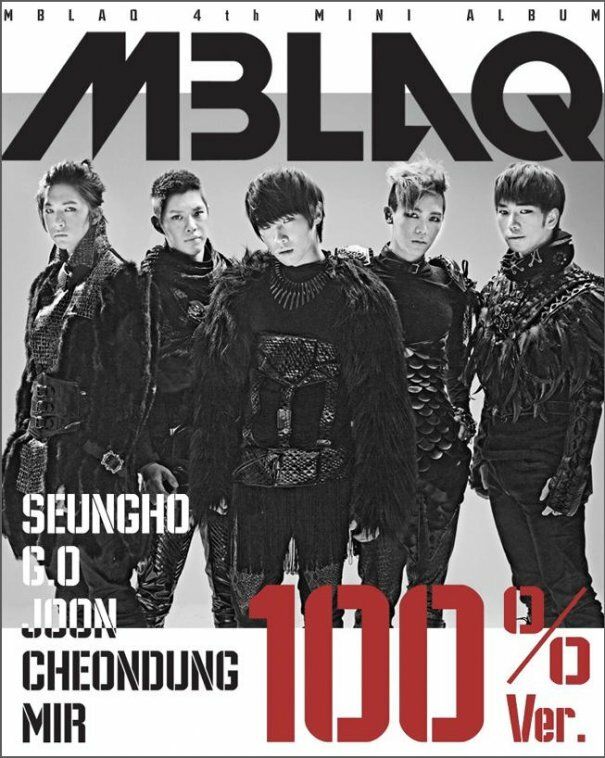 MBLAQ’s first studio album, with an intro like “Sad Memories,” and the staples of “Stay” and “Cry,”, perpetuated the themes found in Y from the start. The album gave off a more sophisticated air than the previous two releases, demonstrating the group’s growth. Featuring a clean instrumental, “Tonight” is one of those tracks that shows the greater refinement in the balance of the song and development of vocals, especially for Thunder. I’d argue that Mona Lisa is one of the best complete works that MBLAQ has put out, even though the professed Spanish influences are hard to see past the the wonderful intro — “Ojos Frios,” with the bandoneón by Go Sang-ji — and the title track. Indeed, it’s the work in which each track is deserving of a spotlight, and that’s why all full tracks not promoted made it to this Side B. “You Knew” is MBLAQ’s turn with some retro sounds. What stands out the most is Mir’s greater finesse with his raps. He’s probably not on many people’s lists of first-rate K-pop rappers, but he’s not bad in the least. Following “You Knew” is the soaring “One.” Aided by the strong vocals of Seungho and G.O, and with the help of synthesizers, the song doesn’t have a dragging moment. The sweeter turn is a pleasant deviation from the usually present sadness, confusion, or strong intensity. MBLAQ doesn’t do a lot of ballad songs. When done for the sake of just having a ballad song, the track turns into something that’s just there to take up time rather than being a song that shows talent or uniqueness. Ballads and their mellower paces also require a higher level of emotional expression to keep them interesting. “I Shouldn’t Speak” is a strong, engaging ballad that has good expression. What are most outstanding are Lee Joon‘s vocals and G.O’s turn with the falsetto near the end. This was released a week before the group’s 2012 mini-album, giving fans a good idea of the direction they would take. The simple guitar in the background is a good accompaniment to the vocals, helping to make the latter stand out in specific circumstances. The use of the accordion is also distinctive, starting off the song well and keeping the song interesting. This last serving is a sweet addition to the group’s latest repackaged album. The piano notes stand out for their higher-pitched, repetitive melody. Slowly, and advancing toward the chorus, the instrumental builds on these notes, adding color to the music. For the most part, the song stays soft; rather than increasing in volume, the high points come through a layering of vocals and lengthening of notes, maintaining the depth of the song. More recently, MBLAQ’s members have become increasingly involved in music production, taking time to learn the basics of songwriting, to take a more active stance in the music they make, a route that will hopefully have good results. The group has nabbed their wins on music shows but still manages to stay under the radar. They’re a mainstay in the K-pop sphere for their reputation and ease on variety shows, but they’ve got more to show musically. Perhaps 2013 will bring an album that can show that. These are just a couple of B-sides that MBLAQ has to offer. Leave a comment with your thoughts, and don’t forget to check out some of the other groups covered in our Side B segment!